Increase company revenue and reduce operational expense — this is the challenge of every business in the logistics industry. The emergence of the digital age has pushed many businesses to embrace automation and outsourcing to increase productivity while reducing the cost of operations. Advances in technology have led to new improvements and have changed the way organisations operate their trade. With this progress, companies’ focus is still on the efficiency and the swiftness of the business transitions. Organisations need to have a solid, flexible and visible supply chain — this is what keeps them competitive. This allows logistics businesses to easily identify and address problems that they encounter throughout the shipping process. 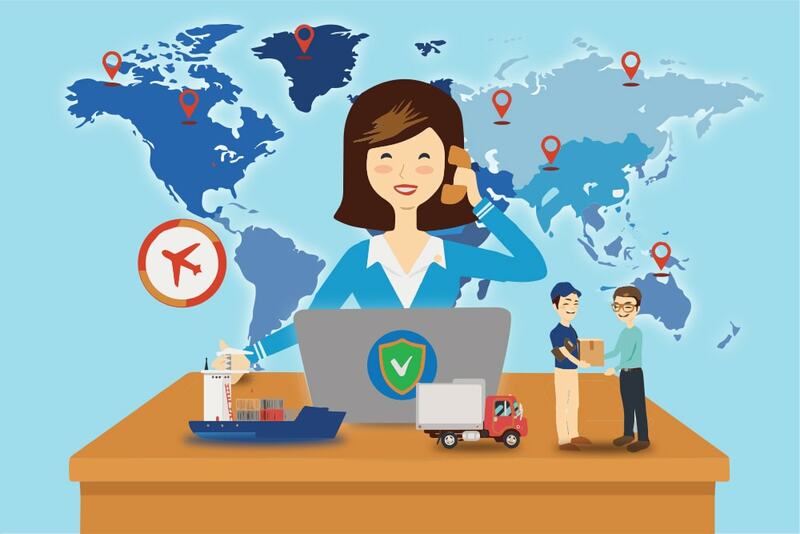 Many companies are now going global to be able to get more customers, and this means there’s a need for global supply chain visibility. There can be an overwhelming number of challenges in managing global supply chain; however, once these challenges are addressed through automation, logistics companies will surely benefit from it. Automation allows data to remain secure since it is directly moved from one computer to the other. It also safeguards the information through encryption and robust security measures to ensure that the data processed is protected and free from threats. Automation allows heavy loads of works to be completed immediately. Organisations that have started automation have seen an increase in the productivity percentage over the first few months of the transition. The removal of routine and repetitive tasks from the company’s front-line employees allows them to focus more on the revenue-generating processes, adding more value to the business and the customers. Some companies are backed up by back office offshoring solutions to help them automate some of their logistic tasks. Automation gives businesses the ability to constantly develop and improve. The changing market will always require on how the trade is done. With the help of automation, adjusting to these changes will be made easy, and the impact is kept minimal. Numbers have proven that entering trading network improves collaboration between trading partners and reduction in the boarding time. It also provides an opportunity for new partner networks to adjust to the process of their trading partners. Choose the tasks that are easy and are routinely done and automate them or offshore these tasks to CargoWise data entry services. Let your employees understand why there is a need for automation or outsourcing, and let them know what’s in it for them. Talk about how this move will benefit both your business and the employees’ welfare, and always assure them that you are not taking their jobs from them. Take note of the steps you have done all throughout the transition from your current system to automation. This will allow visibility over the working and not working processes. This will also help you identify problems along the way and be able to fix them right away. Automation is a big leap, and you may want to make sure that you have a partner for this jump. Our expert and qualified offshore freight operators at Total Back Office Solutions will help you realise your automation goals. Hand in your back office tasks to us so you can focus on your core business processes!